Let’s face it. Dieting is not always a mentally appealing thing. Sometimes, it’s nice to know that you can prepare something familiar and sinful in a way that could correlate with your diet. Last week, I reached a point in my diet and exercise routine where I wanted a cannolo (yes, this is an achievable level of fitness), and I was almost ready to roll a die, pick a random bakery in Schenectady, and drive over to have a cannolo (Aside: I don’t want to hear that it’s “Cannoli.” Singular is Cannolo; plural is cannoli). This was, of course, after finding nothing I wanted to eat on my tenth trip to the fridge and pantry. 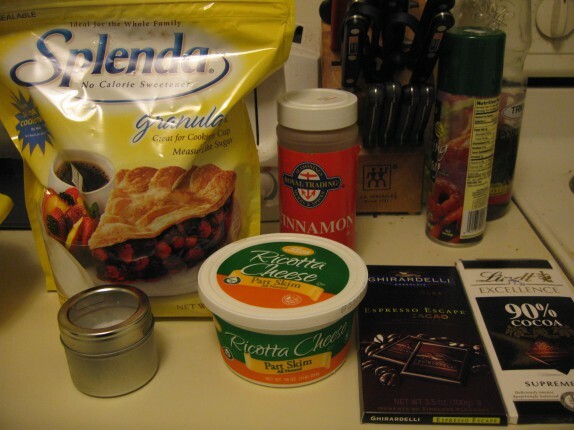 What I did notice was that I had everything that I would need to actually whip something up that would satisfy the craving for cannoli and be somewhat better than wasting gas for a thankless meal of empty calories consisting of a deep fried cookie, high fat and high sugar cream, and milk chocolate chips. I dumped the container of ricotta into a very old Tupperware bowl. 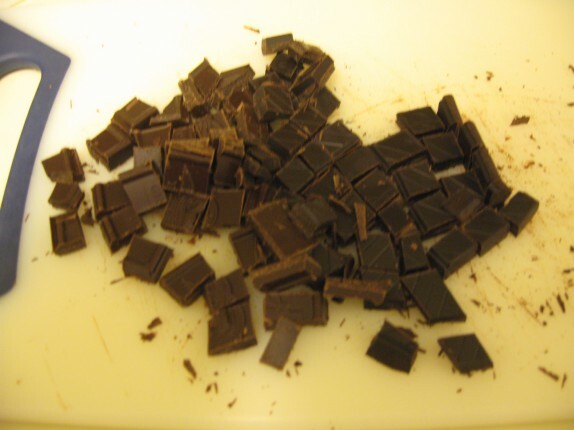 Then I chopped 6 squares of the chocolate (mixed between the two varieties depicted above) into small pieces. 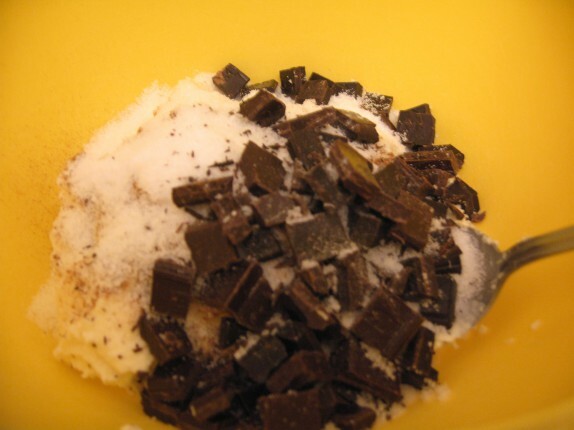 I threw 5 tablespoons of splenda onto the ricotta, about 1/2 teaspoon of cinnamon on top of that, dumped the chocolate onto that, and threw in a good pinch of kosher salt (extremely important). And there you have it. With everything I added, you get 1070 calories. 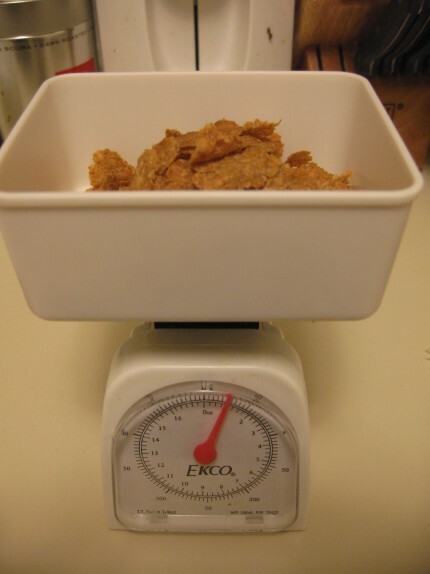 Split that into four servings, and it’s approximately 268 calories and contains 14 g of carbohydrates (7 g from fiber), 13 g of protein, and 20 g of fat, mostly unsaturated fats. I dumped a fourth of what you see above into a bowl and was ready to eat it, but I was missing my crunch, what people would argue is the purpose of even eating a cannoli. Sure that I was going to be driving from Latham to Schenectady or at least to an Italian import store for boxed cannoli shells, I peered into the pantry one more time. And I came across something I forgot I even had, Special K Protein Plus Cereal. This is brilliant stuff. It is great with milk, and works as the perfect medium to deliver my cannoli cream. Now, you have to be of the mindset that eating a somewhat deconstructed cannoli with a spoon appeals to you, and, although it sounded weird, it was better than driving to weird Schenectady for me. and I lightly mixed it into my cannoli cream. Back off on the Splenda. The product definitely had an intense sugar alcohol flavor. I don’t mind it, but I’ve heard people complain about the flavor of Splenda. Well, if you would, then you’d complain about this. Allow the ricotta to drain overnight. By placing a cheese cloth in a strainer and allowing the ricotta to drain overnight, the ricotta would have had been thicker and that would have yielded a better texture in the end. I wanted it at that moment. 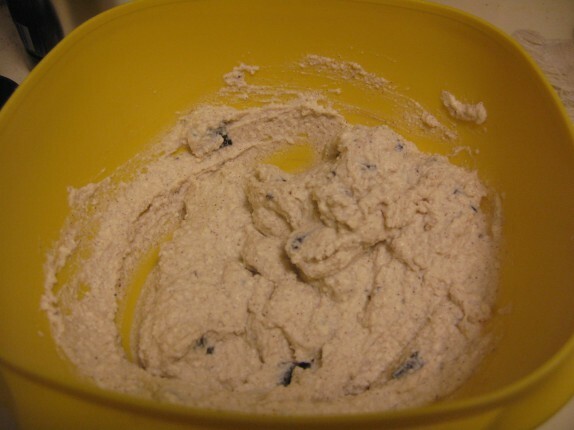 Substitute full fat ricotta, preferably fresh ricotta, but also drained overnight. Add the zest of half of a lemon or orange. This would have added a freshness that would have cut through the cheese. Not cut the cheese. Add vanilla extract or, better yet, bean. I forgot. Use better cinnamon. Whatever, I don’t use enough of it to merit buying really good stuff. 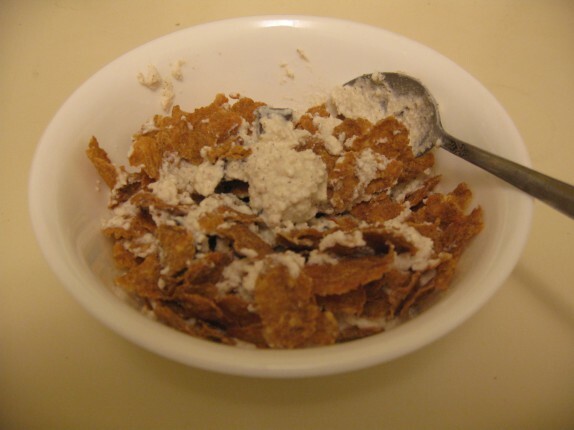 Use a stand mixer rather than a spoon and an arm to mix the cream. This is generally known to yield a more homogenous cream. As a matter of fact, if you take all of the information above, including these bullet points, you could probably come up with my “recipe” for sinful cannoli cream. Have at it. But bear in mind, I would never venture to make my own shells. You need special equipment, and I have found that what you can buy at an Italian specialty store is just as good as what bakeries sell. I’m not sure that a piece of pipe or a wooden dowel classifies as special equipment. Also, if you’re trying to deconstruct/make the dish healthier, you could cut some calories by baking up your own shells in any shape you wanted. Little cups made in a muffin tin perhaps? Excellent points. I wasn’t intentionally deconstructing the pastry, I was just trying to work with what I had around to get a healthy and satisfying snack. It was certainly a winner as it was, but, yes, I could have done so many things differently. Oh dear. That is the perfect filling for a low sugar cake I would like to make…Thanks!